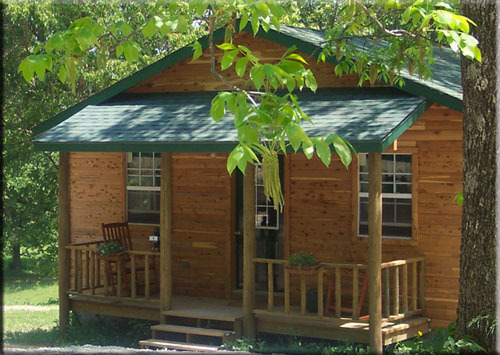 Come stay in our cozy cabins! 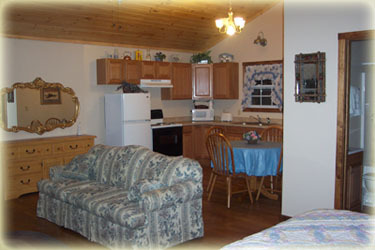 The cabins have full kitchens, satellite TV, telephone, full-size washer and dryer, air conditioning, and back decks. 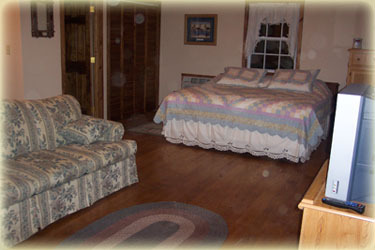 Each cabin has a king size bed and a sofa sleeper. They will sleep up to 4 people. We also have portable cribs.